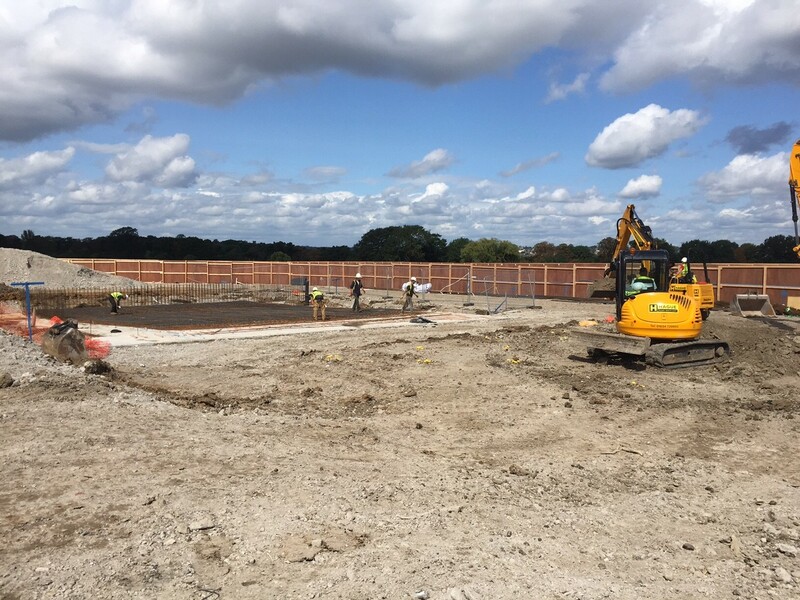 Construction work on the new Morden Leisure Centre is well underway with foundations being laid, the 25-metre pool already formed and piling going in. 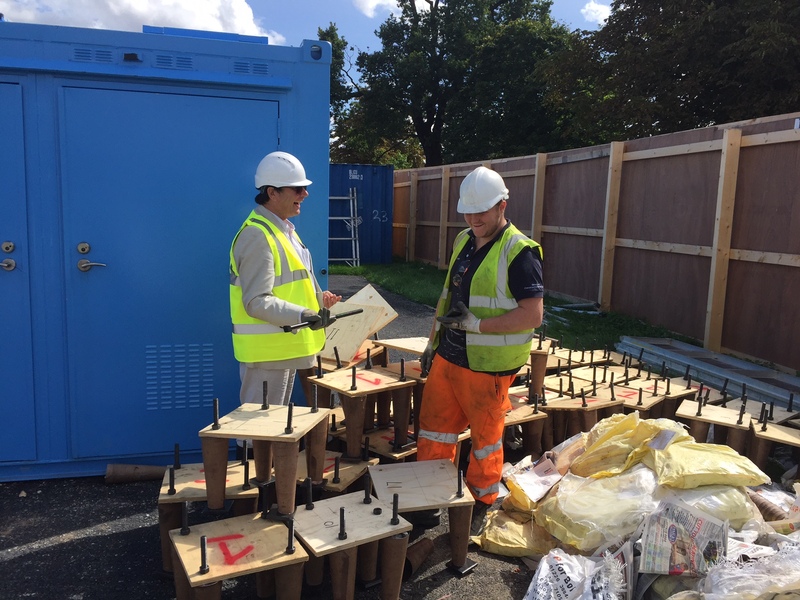 Merton Council’s cabinet member for community and culture, Councillor Nick Draper visited the site and spoke to site manager, Millad Yousif from Pellikaan and labourer Keir Fitzmorris-Stratford from subcontractors, Hague Group, about how the work was progressing. The steel frame to the building will be going up soon along with excavation works for the diving pool. The new state of the art leisure centre will provide Merton residents with first class facilities including a 25-metre, six-lane main pool, a second pool with moveable floor to accommodate diving, swimming teaching and water-based exercise, a fitness suite, a studio and a café. 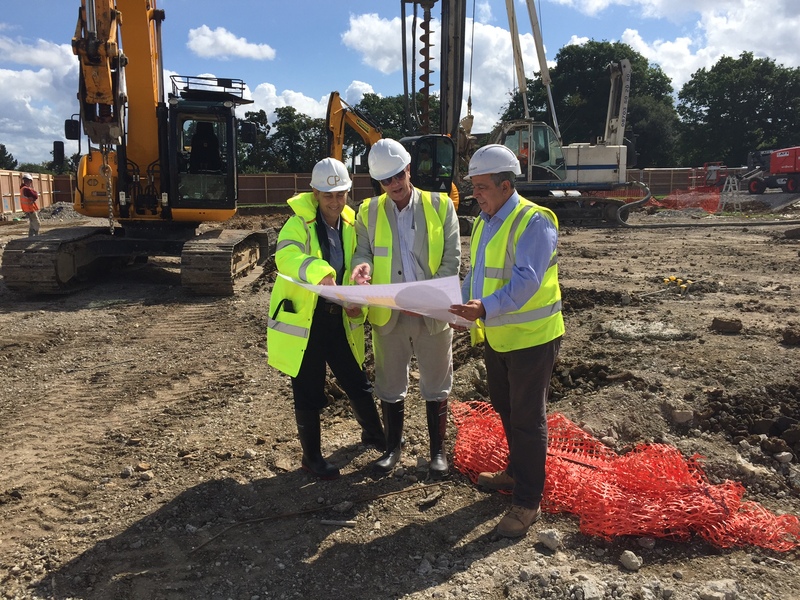 The council has planned the construction so that the current Morden Park Pool will stay open and up and running until the new leisure centre is open. 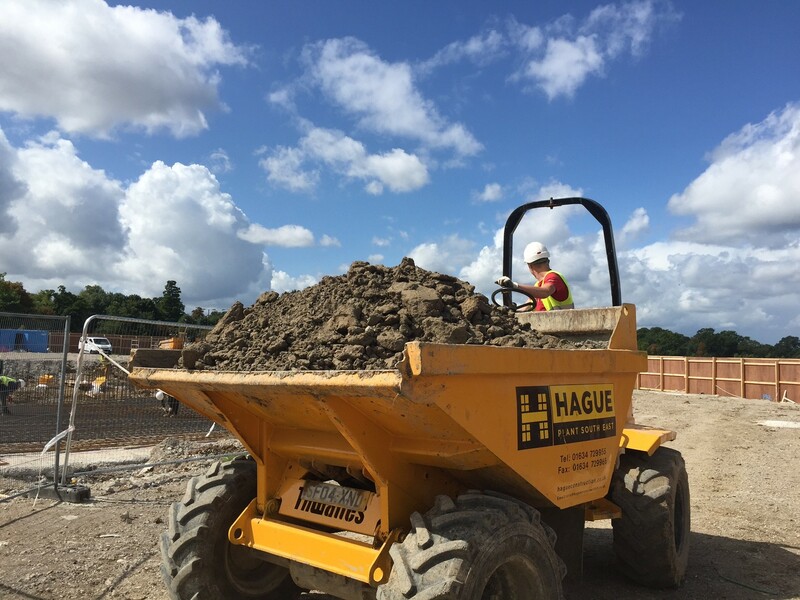 Leisure customers will always have sports facilities throughout the works. Once the new leisure centre is ready, the site of Morden Park Pool will be returned to open green space.